Christian writers are generally a scrupulous bunch. And well we should be since we are charged with handling the Word of Truth on one level or another. But are we being overly pedantic, to the point of icy legalism, when it comes to criticizing the copy editing and proofreading of self-published books? Recently, I published this humorous meme on the CWT Facebook page. 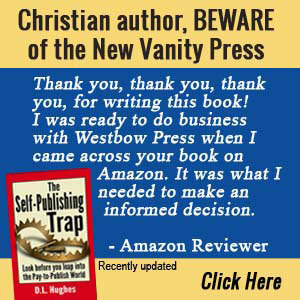 It highlights the problem faced by both Christian authors and grammar critics. Traditional publishers spend $10,000-$25,000 (or far more) on the copy editing of a single book. They spend extra for proofreading. Yet, we still see errors in these books. So, editing errors for self-published books should be no surprise. Usually, the authors are on a tiny budget, or have no budget at all. It seems inappropriate for readers to complain when the book is free or they buy it for just a few dollars. Of course, we all want to produce the best books we can. In the past, many books had “Errata Sheets.” Remember them? They were a single page that publishers inserted in printed books highlighting errors found after printing. Today. we can correct these kinds of errors quickly because of our technology, so most don’t linger long. Only the pathologically finicky mention minor issues in reviews. The F in the word “FUTURE” in the middle of the photograph was originally carved as an E.
Some printed errors are worse than others. The Lincoln Memorial cost $29 million in today’s dollars, but still this error slipped through. There are several editing techniques that will help you produce a better book. Each is helpful but has its limitations. This is entry-level editing, but sadly is the only type of editing some people do. Word is good at catching misspelled words and some things like passive voice, but otherwise it is not helpful. It will highlight the worst construction, but it’s generally like editing your writing with a sledgehammer, not a jeweler’s tool. Hemingway Editor is computer software that has potential, but is poorly designed and maintained by its developers. However, it can add a higher level of editing functionality for less that $20, so it’s worth a look. You cut and paste your text into the Hemingway Editor and it identifies things like adverbs, passive voice, sentences that need to be simplified and readability level. Potential errors are color coded, so it’s easy to see them. You can elect to change things or leave them as they are. Grammarly does the same thing as Hemingway Editor but in a more sophisticated way. It checks for over 250 possible writing flaws. Grammarly is an expensive, primarily cloud-based subscription. It will cost you at least $360 per year on a monthly basis. Grammarly offers a free browser-based checker, but it comes without about 150 features you’ll need. They will also send you constant emails to get you to buy their expensive upgrades. Is Grammarly perfect? No, not at all. They offer alternatives to what you have written to be sure, but you still need to make choices about how to change your writing if you decide to follow their advice. Some writers like Grammarly, especially business writers. Personally, I do not recommend it for people writing fiction or nonfiction books. The free version might be acceptable for blog posts if you don’t mind the constant barrage of upgrade sales emails you’ll receive. What is the best way to edit your own writing? You can use tools like the Word checking features I mentioned, Hemingway Editor and Grammarly, but they are just the starting place. They can find egregious errors, but not always. The best technique is to let your manuscript rest for a week or so. Put it in a drawer and stop thinking about it. Then, with fresh eyes, read your manuscript aloud. Don’t try to read your entire manuscript at one time. Break it into portions of 10-15 pages per session. When you read your manuscript aloud, the errors leap out at you. You may need to read your entire manuscript aloud several times. An alternative is to use software to read your manuscript aloud to you. Microsoft Word has a free Text-to-Speech tool you can install. There are several other text-to-speech tools that will work with any writing software. Natural Reader is an example, and there are both free and paid versions. You listen carefully as your book is spoken and make needed corrections. 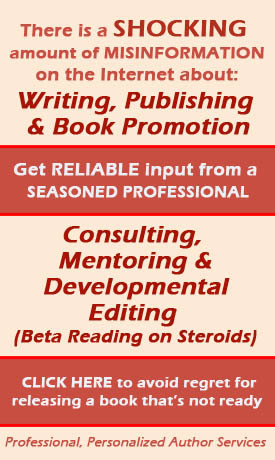 All this is based on the idea that you, as a writer, understand the copy editing process, including grammar and punctuation rules. You must be able to recognize issues and know how to fix them. What can you do if you don’t have these skills? Your only alternative is to hire a copy editor. No, not a proofreader or an editor/proofreader. You need to hire a genuine copy editor. Professionals know the difference between copy editing and proofreading and don’t claim to do both. Professional copy editors do advanced work, but good ones never claim perfection. Will Any Editing be Perfect? Will your editing efforts be perfect? No. Others will likely find errors in your editing no matter what you do. Some will find legitimate issues you overlooked and others will simply think you are wrong because your editing standard differs from their own. English is in a constant state of change. Grammar rules that were accepted a decade ago are not longer used. There are also variations in American and British English. Your book must be edited in accordance with a current guide, like the Chicago Manual of Style or the Associated Press Stylebook, not a swirl of remembered rules.